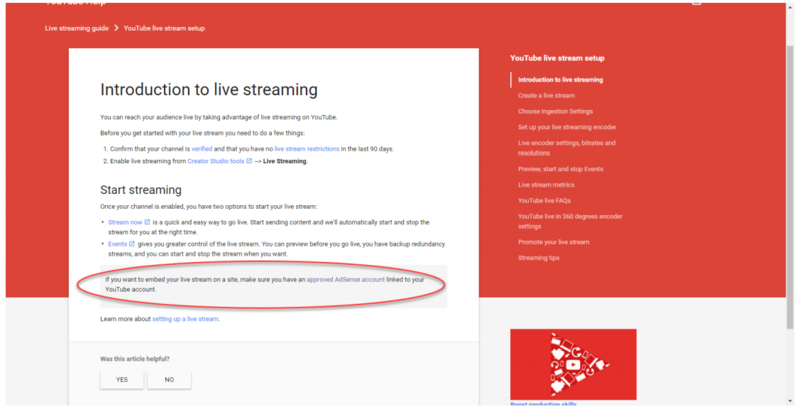 YouTube Requirement for allowing the embedding of your Live stream onto your Easywebinar event page. Did you see an error on your event page "Watch this video on YouTube. Playback on other websites has been disabled by the video owner"? During setting up the YouTube live did you see a grayed out allow embedding? If you see the error message above, you can click on the YouTube link to go directly to the YouTube Event. Under the video to edit the settings. Click the advanced tab. 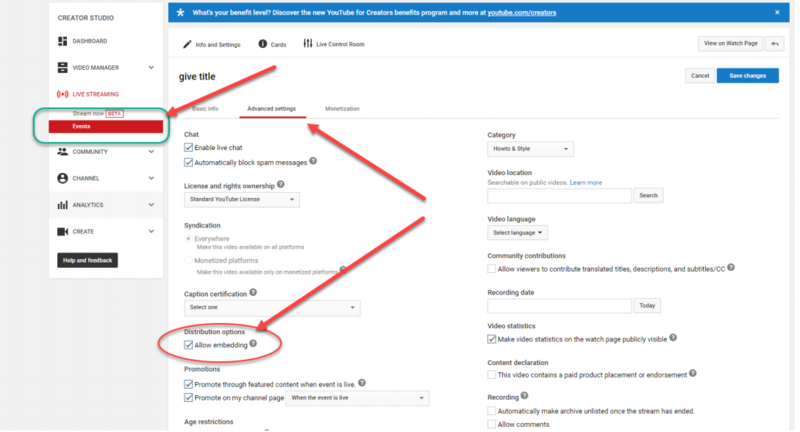 Under "distribution settings" you might see a checkbox that reads "allow embedding" that is greyed out, with a message under it that reads "You cannot embed live streams. Learn more (a link)"
The Image below shows it approved which takes 24-48 hrs and monetization needs to be enabled at first to get to be able to Embed Live Streaming as shown in previous Image. Once it shows approved and it is enabled you can click on Edit of your event and go to advance settings to see if it went through and is no longer grayed out and now allows you to embed. (you can disable monetization later if you wish). 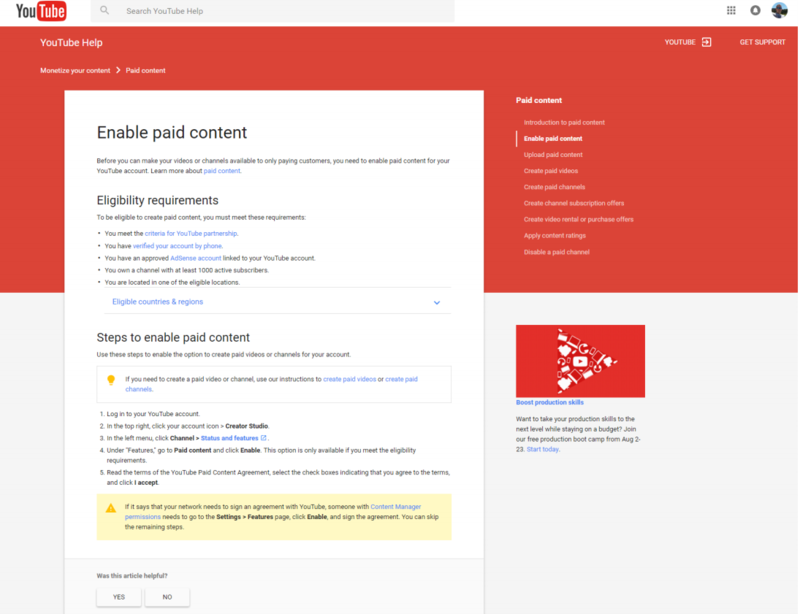 Click the link to Learn More, or visit https://support.google.com/youtube/answer/2474026?hl=en At that page you'll see that Google had changed their system and now required adsense enabled accounts to stream live embedded video.Simply follow the steps in that link to enable monetization for your account. See also https://support.google.com/youtube/answer/3249165This is a new requirement from what we can see, but luckily you canopt to turn off all ads after you have your account set up. 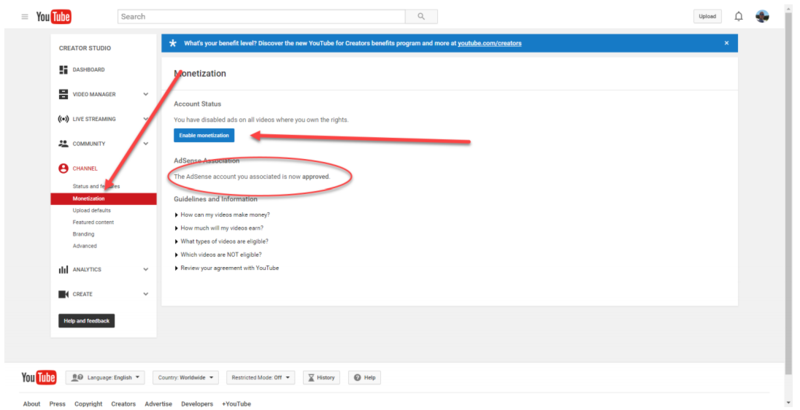 Once thisis done, you can turn monetization back off under Channel, Statusand Features.